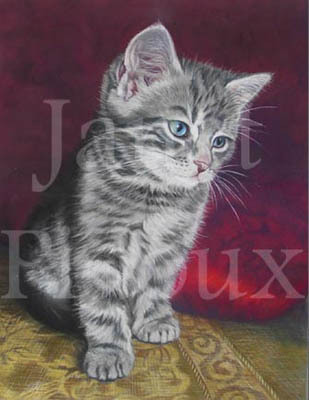 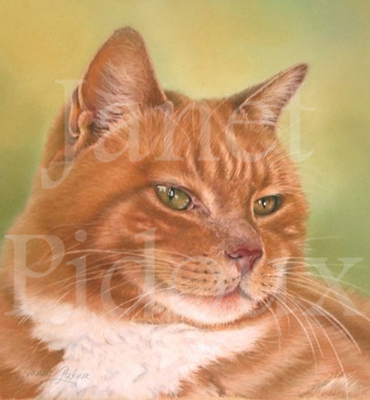 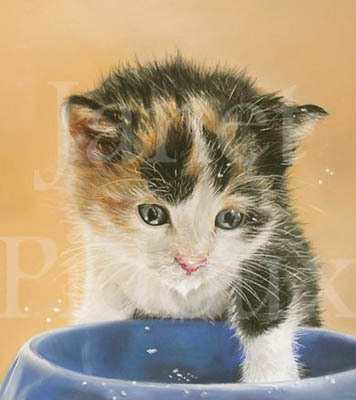 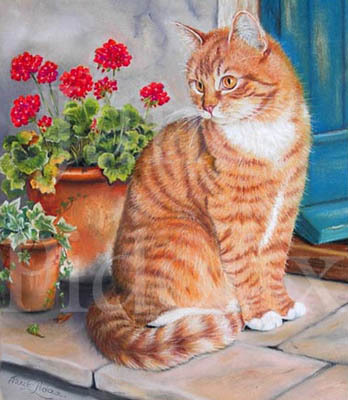 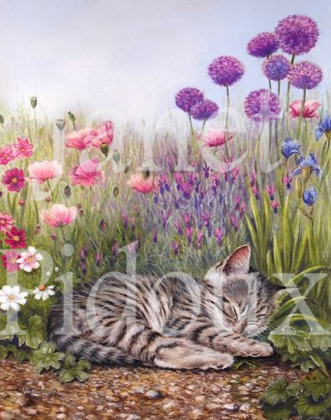 Janet Pidoux is a member of The Society of Feline Artists and also The Society of Women Artists. 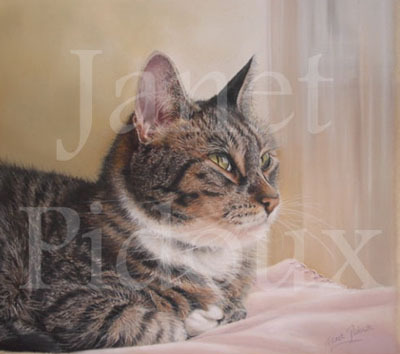 She paints in pastel, her favourite subject being the cat and her own cats often feature in her work. 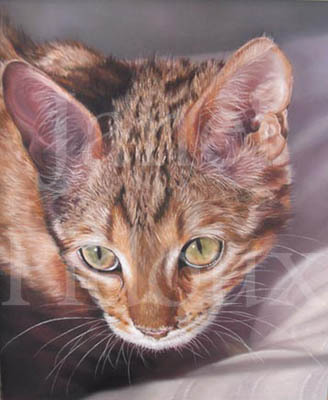 Last year she was fortunate enough to win the Llewellyn Alexander Award at the annual Society of Feline Artists Exhibition held in London. 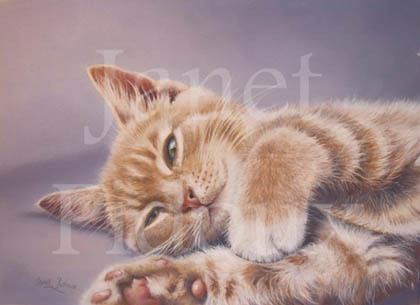 She has exhibited with the Society of Wildlife Artists and The pastel Society and her work is in private collections worldwide and has been reproduced on many occasions for the print market. 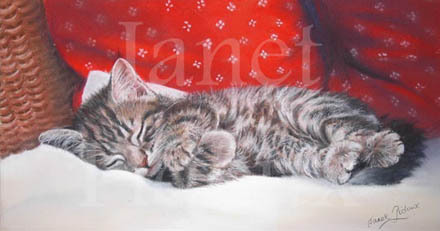 Janet takes commissions and limited edition prints of her work are available for £75.00 each mounted and cellophane wrapped.